Marty’s photo of the day #2575: I photographed this poison dart frog in the Amazon Rainforest of Peru. Those are tadpoles on his back. 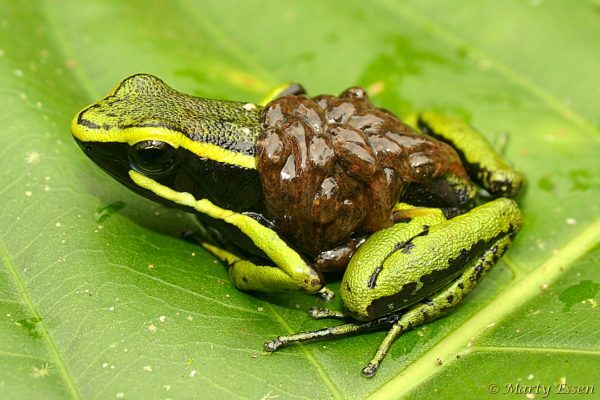 And yes, the frog is most likely a “he.” In most, but not all, cases it is the male that has the baby-carrying duties.